Dogs. Where would we be without them? No, really? Our best friend has, without question, changed the face of human history. He's the animal who has risen to the foot of our table and shares a home with millions of us over thousands of years. His only fault? Well, if you discount the fact he has a tendency to be with us for far too short a time the only other problem we can find is that he does have a tiny tendency to find weird and wacky ways to cost us a lot of money, most often at times when we can least afford it, says Ryan O'Meara. Just look at this litany of canine madness and think to yourself, does MY pet insurance cover me if my dog falls victim to a riled up snapping turtle? Canine Costs - How Many Creative Ways Can Our Dogs Find to Cost us Money? 4. In 2011 the story of Ginger the Golden Retriever who lives in Rocky Hill, Connecticut got herself in to a bit of a pickle when she got too close and personal with a snapping turtle. Susan Burr explained that Ginger, her 7-year-old golden retriever, had already her share of run-ins with wildlife. While Ginger’s natural canine inquisitiveness had lead to some near misses with skunks, chipmunks and other animals, none had posed quite the same problem as the ticked-off turtle she encountered in July 2011. Although the notoriously sluggish animal has no teeth, its strong, powerful jaw and sharp beak did some damage to Ginger’s muzzle. Startled by the incident and the bloody lacerations on her companion’s nose, Susan rushed Ginger inside and called her local emergency veterinarian. The staff recommended that she bring Ginger in for an examination and Susan didn’t hesitate to comply. Fortunately, the wounds were superficial and Ginger was able to make a full recovery with the help of some prescribed antibiotics. After the incident, Susan warned her neighbours with small children to beware of snapping turtles coming into their yard, and she advises pet parents to take equal precaution. Fortunately, little Ginger was protected as the Burr family had been wise enough to invest in pet insurance. It's possible they didn't envisage having to fill out a claim form citing a snapping turtle as the reason for their dog's veterinary treatment though! These 10 Dogs Cost Their Owners A Fortune This Year! Ziva racked up a claim amounting to over five thousand pounds as a result of a stick injury. Kiara was victim to an infection in her uterus which caused problems for her owner. Boomer stayed in the sun too long and suffered heat stroke. Maggie ingested some spuds and managed to get one lodged in her stomach. It was clear to see that Simba’s eyes were bigger than his belly after he was guilty of tucking into some leftovers and swallowed a corn on the cob whole. Ditzy Dibley had an x-ray and a plastic object was discovered in his intestine. Grass seeds were wedged in Jerry’s ear. Alfie was rummaging in the garden and a grass awn became stuck in his nostril. Moussa was licking her lips to the sight of some left over lamb, the bones were stuck in her stomach. Richmond’s eyes must have been watering after he ate a whole onion. 3. English Bull Terrier, Paddy, came up with her own unique excuse to pay a visit to his local vet. She defied the odds when she survived emergency surgery to remove a swallowed Kinder egg surprise – despite an existing heart condition. Brave Paddy, who is ten-years-old, has heart disease and needs daily life-saving medication. So when she was brought into Stoke PDSA PetAid hospital after becoming seriously ill her owner Sandra Garner immediately feared the worst. Sandra rushed Paddy to Stoke PDSA PetAid hospital and following an x-ray, the vets revealed she had swallowed a plastic Kinder egg surprise. She was taken immediately into theatre to remove the toy from her intestines. It was touch-and-go for Paddy in theatre as Duncan and his team battled to save her life but luckily Paddy came through the operation. Her recovery was long and slow but she has since bounced back from her ordeal. 2. OK, so your own dog might not be a turtle tackler or an egg swallower but can you be totally sure they're never going to find themselves in a less exotic but equally perilous situation as a result of the nasty parasites that are becoming an increasing problem for many pet owners? Cases of lungworm infection, which can be fatal, have trebled over five years. The parasitic worm can cause weight loss, difficulty breathing, a chronic cough and difficulty exercising and even be fatal. The hot spots used to be Wales and southern England, but experts say the problem is now far more widespread. Reports say that since 2009 there has been a threefold increase in the number of pets affected by lungworm. The larvae of the lungworm parasite are carried by slugs and snails. 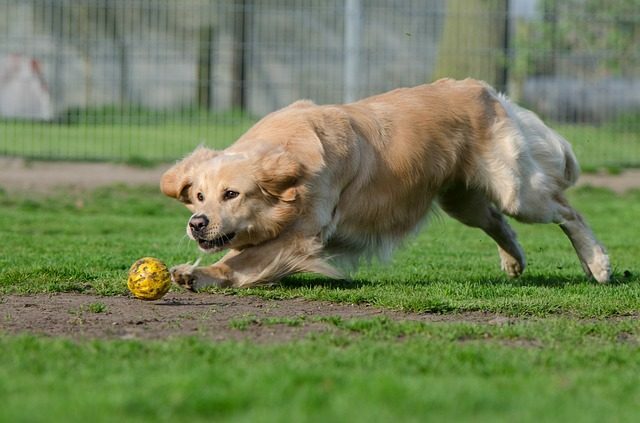 The problem arises when dogs purposefully or accidentally eat these common garden pests when rummaging through undergrowth, eating grass, drinking from puddles or outdoor water bowls, or pick them up from their toys. Foxes can become infected with lungworm, and have been implicated in the spread of the parasite across the country. Frogs can also carry the larvae, presenting a risk to dogs. Lungworm is often transmitted by infected slugs or snails that carry the parasite and can even be contracted by a dog drinking from puddles or using toys or bowls that have been left outside. It can also be caught by eating infected fox or dog faeces. The increase in dogs being treated for parasitic infections shows that not only do we need make sure we protect our pets by having a high quality pet insurance policy behind them, we also need to make sure we're regularly worming them and keeping up to date with preventative health treatment from our vets. As the old saying goes, prevention is always better than cure. 1. Mischievous Staffordshire Bull Terrier, Austin, has always been a chewer and his owner says it wasn't uncommon to find clothes regurgitated behind the sofa, but he went too far one day when he ingested an electronic cigarette cartridge! His owner, Roxanne Walker-Loveridge, from Swindon says her 6 year old Staffie boy has been a "mischievous pup since the day she bought him", exuberating all the typical masculine traits associated with young dogs. Lucky for him Roxanne actually works in a veterinary surgery because she says “Austin to be a chewer on a massive level.” Even luckier for Roxanne, she took out pet insurance for Austin with Direct Line. When he was only five or six months old, Austin had to have one of his teeth removed after he was caught trying to take a chunk out of a television cabinet. Her lovely Staffie also has a penchant for laundry. Roxanne told us how Austin would snap up a pair of pants or socks faster than anything she had seen before, and she would find the regurgitated garments behind the sofa. She went on to say how her boyfriend would frequently put a pair of briefs on in the morning to find a fresh hole in which Austin was responsible for! It would appear Austin is quite the rebel. When he was five years old, he was found rummaging through his owner's partner's backpack, where an electronic cigarette accompanied by a blueberry flavour cartridge was (it was thought) safely tucked away. Austin found and quickly gobbled up the cartridge. His latest tasty treat was immediately discovered when he began vomiting straight away. Roxanne’s partner made him sick to ensure the cartridge and its liquid component was removed. Months on, Austin is still receiving treatment for his latest escapade. He is currently on medication and a camera recently went down his throat to investigate his stomach as the lining was suspected to be damaged. Austin is expected to visit the vets again in a couple of days to hear the results of the latest camera investigation. We have our fingers crossed for Austin and wish him a speedy recovery. Has your pet ever eaten something or been involved in an accident which has cost you a fortune? Share your stories here, we'd love to hear your dog's tales!